Qualifications: Officer under the Central Government/State Government/Public Sector Undertakings/ Semi Government/ Statutory/Autonomous Organisations/Societies: (a) Holding analogous post on regular basis in PB-2, Rs. 9,300-34,800 plus GP Rs. 4600/- OR (b) With 5 years regular service in PB-2, Rs. 9,300-34,800 plus GP Rs. 4200/-. Qualification:Bachelor's Degree in Civil Engineering. 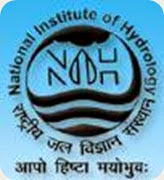 (OR) Post Graduate Degree in Chemistry/Hydrology after acquiring Bachelor's Degree in Physics, Chemistry and Mathematics subjects..
How To Apply: The Application should be submitted to the Senior Administrative Officer, National Institute of Hydrology, Jal Vigyan Bhawan, Roorkee-247 667, (Uttrakhand) within 30 days from the date of appearance of Advt. in the Employment News in the Format appended strictly type-written accompanied by a latest passport size photograph duly self attested along with Examination Fee (nonrefundable) of Rs.100/-(Rs. One Hundred only) for the above post in the shape of Bank Draft drawn in favor of "National Institute of Hydrology, Roorkee" payable at SBI Branch of IIT, Roorkee with the name of the Candidate, post name written on its backside. However, candidates belonging to SC/ST/PH are not required to pay any fee. No fee exemption is available to OBC candidates and they are required to pay the full prescribed fee of Rs.100/-. Application Proforma and advertisement are also available on the Institute Website www.nih.ernet.in.